This book reprints 35 issues of Virginia chess publications from 1946 to 1965 plus one issue of the Carolina Gambit from 1960. Most notable is the Virginia Chess News Roundup, published quarterly from 1954 to 1959, edited by Leonard Morgan. These publications contain hundreds of games not preserved anywhere else and report tournament results and local ratings not to be found anywhere else. From 1946 until the present, the Virginia Chess Federation has authorized several different publications. The current publication is Virginia Chess, the official newsletter of the Virginia Chess Federation, edited by Macon Shibut, a rated chess master. Previously, there were other publications, including the Virginia Chess News Roundup edited by Leonard Morgan of Roanoke, who was the Virginia State Chess Champion in 1955. The United States Chess Federation has lost all its records from the 1950s and the 1960s. This happened because a short-serving Technical Director of the United States Chess Federation threw out all the old tournament records. 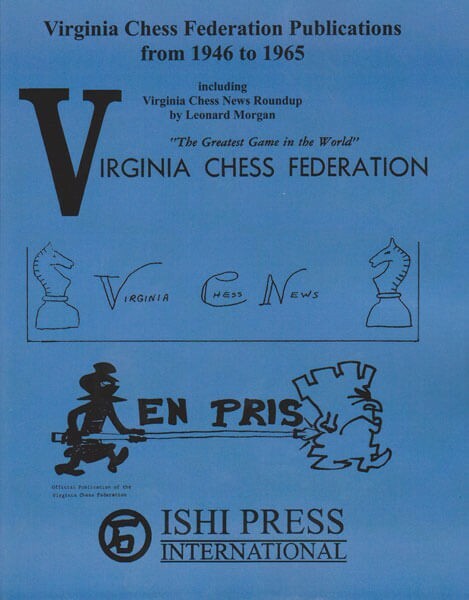 Since the USCF Records do not go back that far, the only surviving records of chess in Virginia from that period are these Virginia Chess Publications.